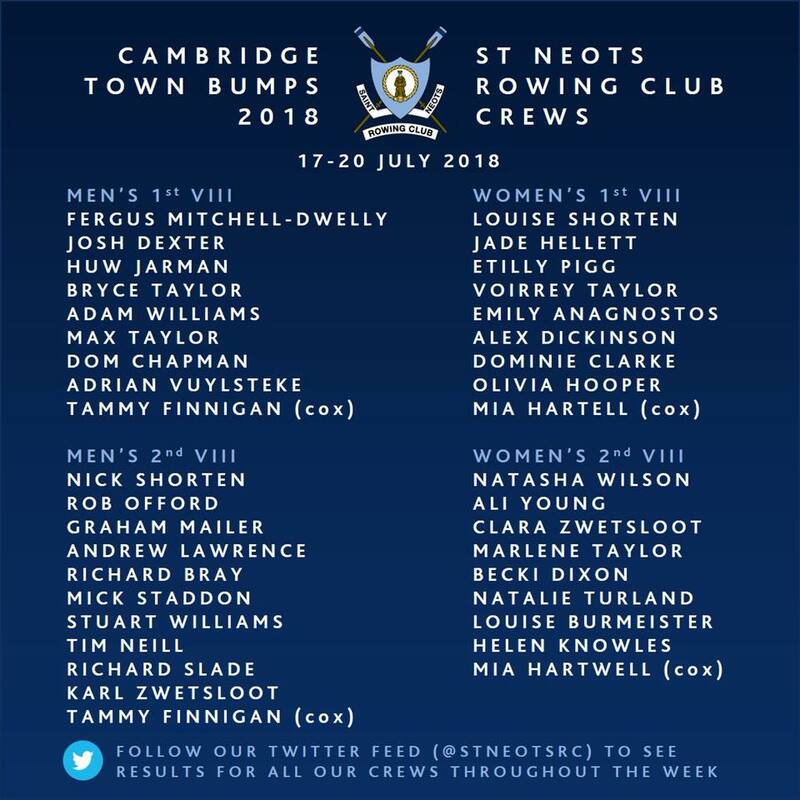 This week will see four SNRC eights return to the Cam for the most intense week of racing on the Club’s calendar – the Cambridge Town Bumps. Starting this Tuesday night, our crews will race each night for four consecutive nights to try ‘bump’ their way up the divisions to ‘earn their willow’, and potentially claim some silverware! This year carries extra significance, as it is the first time that our top men’s and women’s boats have the chance to claim the headship, as both boats will be starting in the top five in their respective divisions (M1 – 2nd, W1 – 5th).